A young Jewish boy walks in a crowd of prisoners heading towards an Auschwitz death camp. Suddenly, his parents are pulled from him. The boy’s mother screams out his name, “Erik!” He yells back, “Mama! No! Mama!” Tears streaming down his face and he stares at the disappearing image of his parents. He will never see them again. Overwhelmed by rage and fear, he stretches his hand towards the iron gates. With a staggering force, his mutation surfaces–manipulating the magnetic fields around him, Erik bends the gates open, until an officer strikes him unconscious. This mythological origin story belongs to the boy mutant Max Eisenhardt, later also known under the aliases Magnus, Erik Lehnsherr, and then ultimately “Magneto”–nemesis of Professor X, enemy of the X-Men, and leader of the Brotherhood of Evil Mutants. Magneto’s life became a living hell in Germany’s 1930s as the Nazis began to institutionalize their xenophobic ideology that blamed the Jews for Germany’s defeat in World War I and its economic collapse. Jews were beaten, sterilized, and barred from interacting with German citizens. Then the Nazis escalated their tyrannical practices to include unspeakable acts of torture and murder. At this point you might be wondering, “What does Nazi ideology and racism have to do with the fictional stories of Marvel Comics the X-Men? Quite a lot actually. When writers convey any theory or philosophy their work there is typically some level of truth in order for their work to be believable to the reader. Similarly, comic book writers and illustrators channel real-life experiences onto the panels so their readers may be able to relate to the mythology of their crime-fighting characters. The X-Men tales embody themes of mutants in search of acceptance and equality in a world that hates and fears them. In the Marvel world, humans see mutants as dangerous freaks of nature and so persecute them, try to contain them, or eradicate them. Parallels between these story lines and the real-life confrontations experienced by marginalized groups in America such as African-Americans, Latin Americans, LGBTQ populations, and various religious (or non-religious) denominational groups are evident. Some X-Men story lines even touch on themes of hate groups that harass mutants at every turn such as: Church of Humanity, the Purifiers, and Humanity Now! By comparison to real life hate groups, one will inevitably think of the KKK, other White Supremacy Groups, or the literally hundreds of U.S. based organizations classified by the Southern Poverty Law Center as hate groups. In reality, bias takes many forms and is found virtually in every country around the world. The United Nations human rights mechanisms have had to repeatedly express condemnations of human rights violations around the globe, with equal rights activists struggling against great odds to make the world a better and safer place for ALL of its inhabitants. Marvel’s mutants are a collective metaphor for the minority “other.” The X-Men love America–they’d have to. Every day they face oppression by the government and yet they try to protect the humans; try to work with them in the hopes that one day, they will be accepted as equal members of society. As such, the X-Men story lines mirror current day political and social climates. This is the reality of minority groups. They are victimized and then blamed for their victimization. Many minorities find themselves in “no-win” scenarios. Yet every day, they take another run at equality. They go out to work, to vote, to make their voices heard . . . if and when allowed. America continues to be a Darwinian thrash of who receives an invitation to the “We the People” club, but minorities are not ignorant as to why their invitation to the soiree’ always seems to get lost in the mail. The current polarization in America has been escalating for decades, and now Americans are feeling its effects on a very personal and very painful level. In the Marvel world, Professor X makes it his mission to try to liberate the minds around him from taking aggressive opposition with a goal of living in a world where humans and mutants can live together in peace. 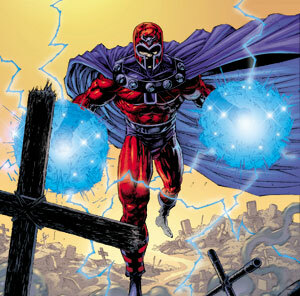 Magneto, on the other hand, believes in fighting for mutant rights by any means necessary. But in the real world, liberating our minds from discrimination and oppression is our own responsibility and this can only be done when we can gain insight as to what has happened and continues to happen to the oppressed. 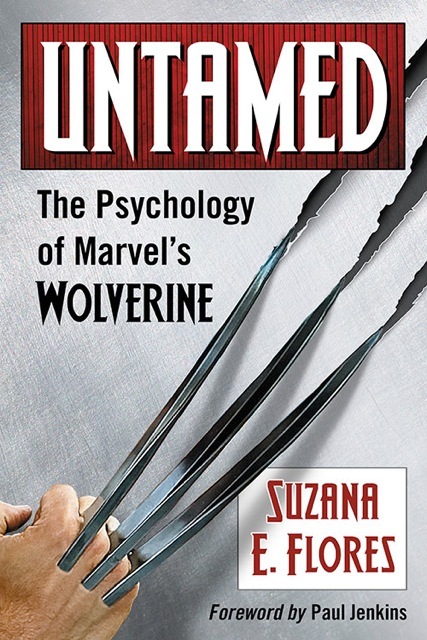 I recently did a TEDx Talk entitled “Untamed: What Wolverine Teaches Us About Rage.” In my talk I outline how Wolverine (the muscle of the X-Men team) represents the rage we experience when facing personal victimization, and the rage minorities feel when experiencing societal oppression. I address how sometimes in life we need to allow ourselves to experience anger in order to understand what is causing it, and what we can do to change it. Many activists strive to channel their anger to one of positive action, through fighting against oppression and discrimination. The X-Men remind us of the most important things to fight for in this life: respect, inclusion, and equality. Just like Wolverine and the X-Men, we can be heroes too. We can stand up for ourselves and speak out against injustice. We can all make a difference in the world through making our voices heard, even if only one blog post at a time. Dr. Suzana E. Flores is a TEDx Speaker, licensed clinical psychologist, and author of UNTAMED: The Psychology of Marvel’s Wolverine (McFarland Books) and FACEHOOKED: How Facebook Affects our Emotions, Relationships, and Lives (Reputation Books).Dr. Flores has appeared on national and international newscasts, podcasts, radio and talk shows. Dr. Flores has been quoted in The Chicago Tribune, The Wall Street Journal, The Huffington Post, Time.com, CNBC.com, ABC.com, CBS.com, Esquire.com, and Men’s Health Magazine. She can be reached at drsuzanaflores@gmail.com or through her literary agent, Liz Kracht at liz@kimberelycameron.com.